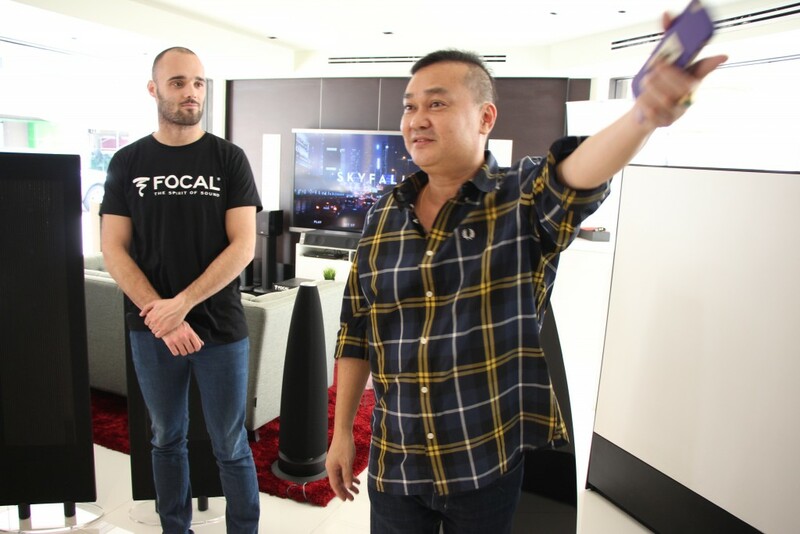 Focal Sales Representative Quentin Morieux (left) and Kenny Sea, General Manager of WKH Distribution Sdn Bhd at the launch of the Focal Dimension soundbar. 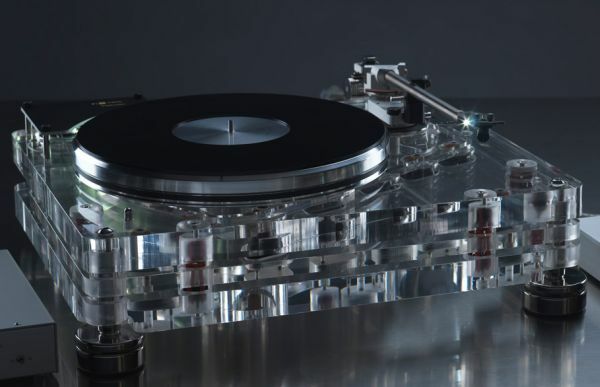 French hi-fi manufacturer Focal has ventured to segments of the music industry other than stereo. It has entered the soundbar business in a big way. 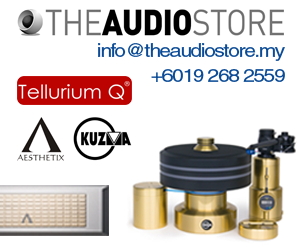 Focal’s Sales Representative Quentin Morieux was in Kuala Lumpur yesterday to launch the Focal Dimension soundbar at the Absolute Sound showroom in Plaza Damas. 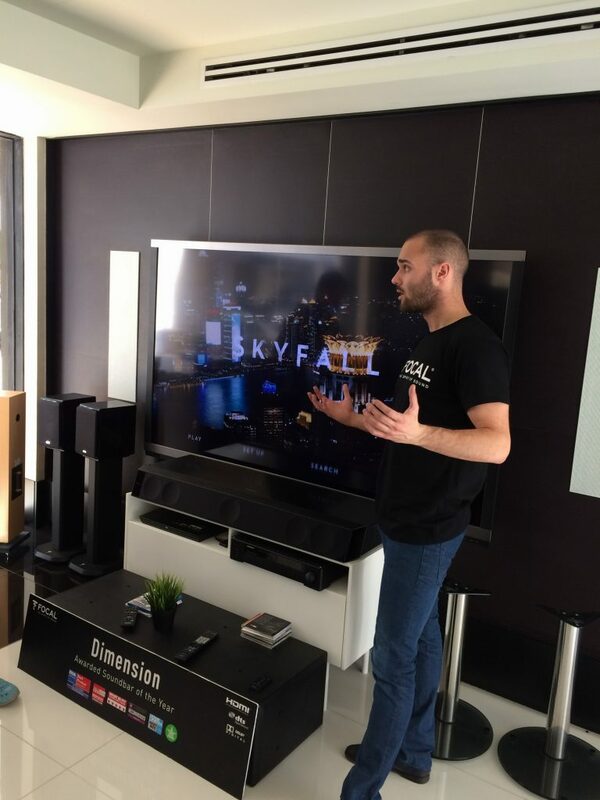 Quentin said the Dimension soundbar is not just for AV but it is good enough for stereo music listening. “The idea was to have a multi-function soundbar good enough for the AV, hi-fi and also the gaming markets. This is ideal for those with smaller rooms like apartments,” he said. It is also priced below its direct competitors. Quentin linking his smartphone to the Focal Dimension soundbar (the slim, black component below the TV) via the Bluetooh APTX receiver. 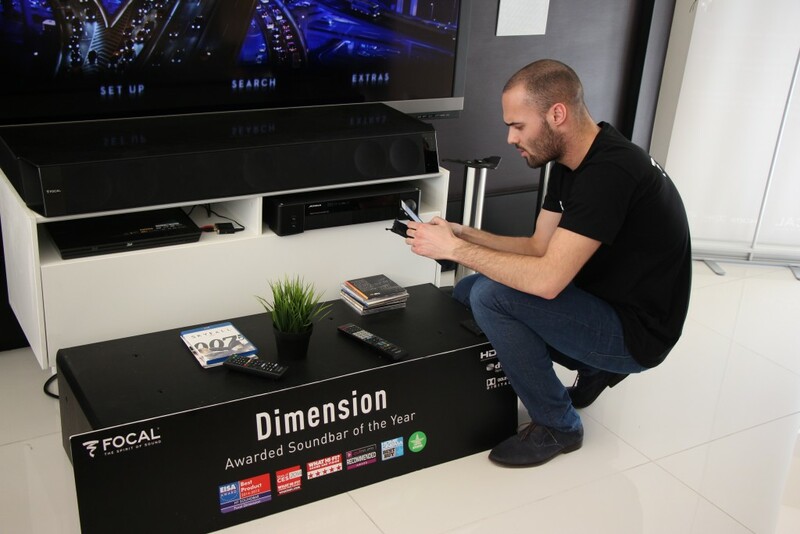 The Dimension soundbar can be connected to a flat-screen TV with an HDMI cable and if you want to plug a CD player to it, you can connect the analogue out RCA cables to the TV which then links it to the soundbar. Optional is a Bluetooth APTX receiver which can be used to stream up to CD (16/44.1) quality music files from your handphone. The soundbar is made of aluminium (instead of the usual plastic) and is compact enough to be placed below your flatscreen TV on a cabinet or on the wall. Its five speakers – two for the left, two for the rignt and one for the centre channel – are driven by built-in hybrid digital amps. It offers a soundstage of 4 metres and a maximum power of 450 watts, and performs well in rooms even measuring over 50 sq metres. 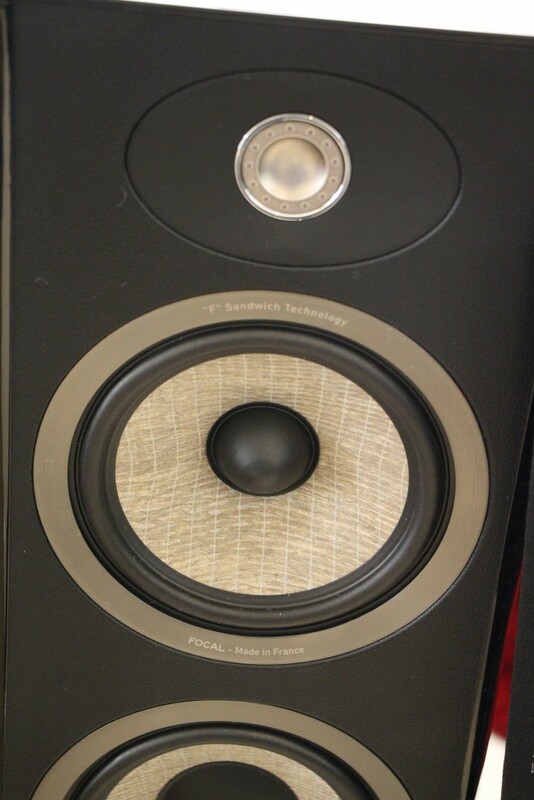 It features 5.1 AV performance with a maximum SPL of nearly 105dB. The Dimension soundbar also has an output for a sub-woofer. You can use your own sub-woofer of another brand or match the Dimension soundbar with Focal’s Sub Air, Cub3 or Dome Subwoofer. However, the Dimension’s own sub-woofer matches it well in terms of, well, dimensions. 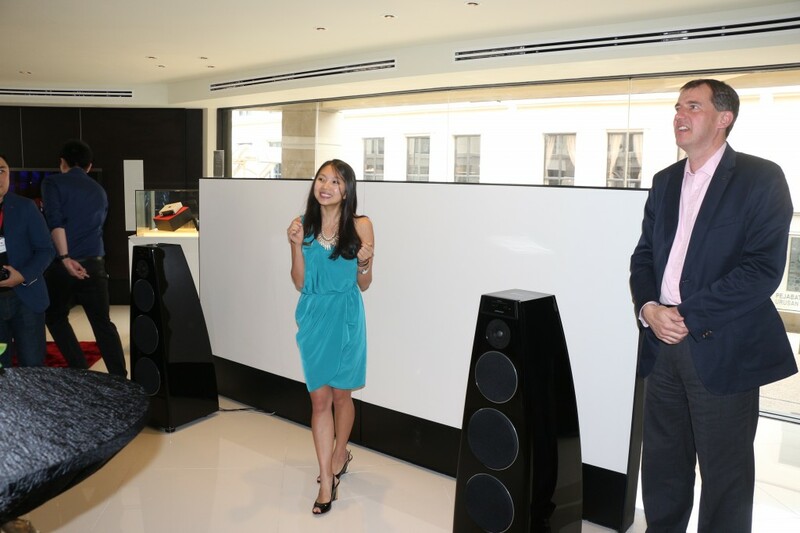 It is a perfect fit in terms of size with the soundbar and that was the sub-woofer that was used at the launch event. The Dimension Sub features two elliptical woofers working in opposite (push-push system) and its bass goes down to 35Hz (the soundbar itself goes down to a respectable 50 Hz). It is topped with an elegant black glass plate which gives it a classy look and you can place your flatscreen TV on it. “The glass top and the internal strong construction of the Dimension sub-woofer ensure that there are no vibrations,” Quentin said. He also revealed that Focal’s DNA has always been its drivers and for the Aria range of speakers, it used flax sandwiched with fibreglass for the cones of the bass drivers. The flax was sourced from Normandy to ensure that it is truly French. The cone of the bass driver of the Aria range of Focal speakers is made of flax. 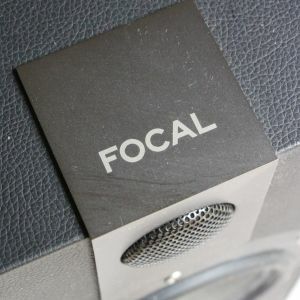 Focal is also moving into the segment of headphones. Quentin showed the Sphear in-ear headphones and a quick listen with a song played on a smartphone showed that they had a very clear and crisp sound quality. Quentin showing the Focal Sphear in-ear headphones. 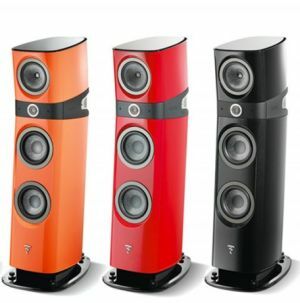 He also shared that Focal will be launching the Sopra 3 this year. “The Sopra range has been very well received,” he said. The event ended with a Chinese dinner hosted by Ben Chia, the boss of Absolute Sound, which included a lou sang and the wishes were for a prosperous new year and more sales for Absolute Sound and Focal. It was also discovered that Quentin is a martial arts fanatic and great fan of Donnie Yen, Jet Li, Mike Tyson and Ip Man.